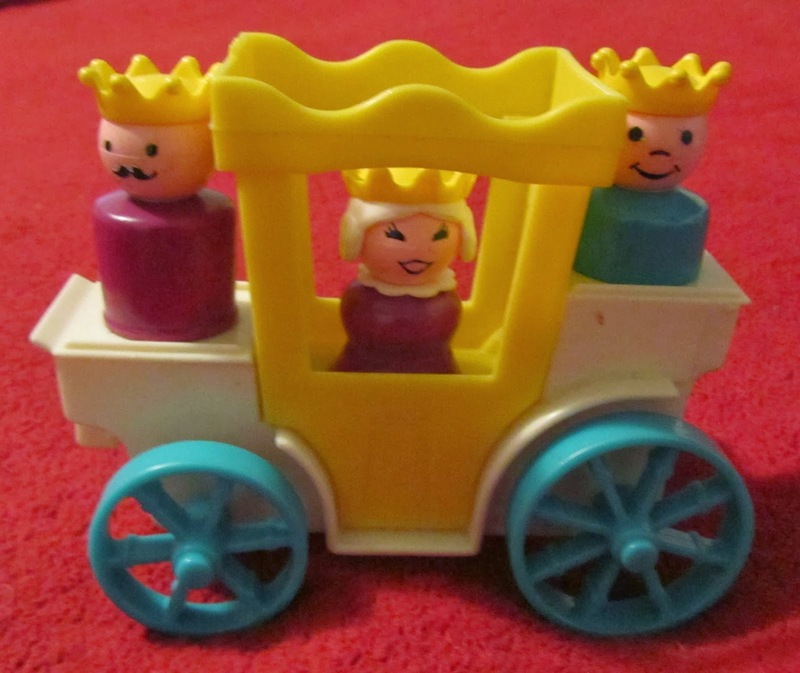 When I was a kid I loved to play with Fisher Price Little People. In the neighborhood where I grew up I think there was an understanding with the parents and each set of parents bought certain toys for their kids. That way there were not a lot of duplicates and then everyone would go to another house to play with that set of toys. My house was the game house. We had board games and video games. My friend, Julie was the barbie house. Between her and her sister they had tons of Barbie clothes and Puff N' Play. My friend, Susannah was the Cabbage Patch and Little People house. I LOVE Little People. We made camping gear and food and wigs for the Little People. To me, Little People were WAYYY better than Barbie. Barbie is a wimp. As an adult, I collect vintage Little People. 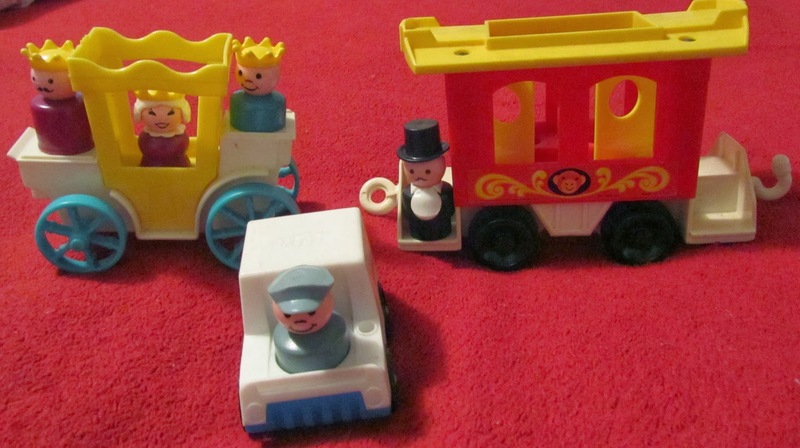 The original Little People were wood and then went on to plastic. In more recent decades, they have increased the size to reduce choking hazard. You you would be surprised how crazy expensive some of the vintage stuff goes for. I actually found a vintage 1969 Brown House at a flea market and bought it for $40. We bought an A frame at a different flea market in the original box with imitation people for $30 and sold the fake little people. Every time I see them I have to get them. My sister-in-law works with children and gives us all of the Vintage Little People that come across her path. Personally, the characters I want the most are the Sesame Street characters. Of course those are the most expensive characters around. Online all of the vintage pieces are going for CRAZY prices and I can not justify that. I can justify small expenses here and there but there are some things that are totally overpriced and out of common sense. See, this is crazy. Unless this is the last piece you are missing from your set, why would you pay $50.00? If it was so rare it would have been individually wrapped and this is not in the original package. Sheesh. I guess I am not a 'collector' so I do not understand. I am a player who wants to play with my Little People. Weird, I know a 30something who plays with Little People. HA, who cares. I am off to play with my Little People now. The Castle Gang. I never saw a princess, princess are you out there?